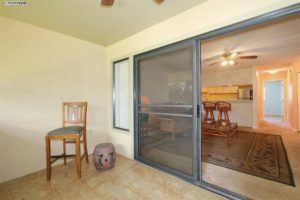 We first brought Maui Gardens #D205 to market in early October and it stood out among the otherKihei condos for sale because it was one of the only move in ready units priced in the low $300k range. We knew pricing the unit attractively was going to bring strong interest and that we could get a deal done quickly if the right offer came along. In addition to the low list price, buyers were interested in the unit because it is only a 2 minute stroll to sandy Halama Beach and the relaxed lifestyle it offers. The units at Maui Gardens are not eligible for short term vacation rentals, so the complex does not see as much turnover as some of the other units in the complex. Located in a quiet 2nd floor location, the unit is feels quite large for a 560 square feet, 1 bedroom, and 1 bathroom unit. 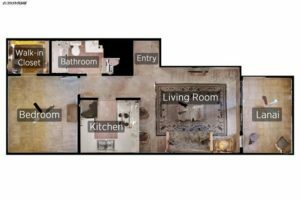 An open design concept renovation by opening up the kitchen wall could go a long way in creating a more spacious feel. In addition to the interior living area, there is additional outdoor living space on the lanai which provides a nice contrast to the interior. The unit is also in the highly desirable “D” building and is buffered by a peaceful and lushly landscaped courtyard. 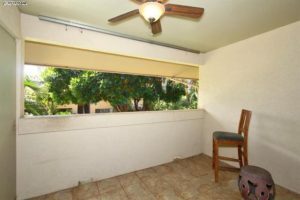 Upgraded just a few years ago, the seller remodeled the lanai with new tile flooring and ceiling fan. There is an AC system in the living room which will come in handy during the warm summer months and is strong enough to keep the whole unit cool. After less than 2 weeks on the market, our clients accepted a final closing price of $288,000. You will love this ideal location which is less than 1,000 feet from the ocean and also conveniently close to shops and restaurants. On-site amenities include a spacious pool, spa, tennis court, BBQ area. Unit comes with 1 deeded parking space. With 6 Maui Gardens units sold through the November, the complex is experiencing a running sales volume of just under $1.8 million. Considering the units cannot to be rented out on a short term basis, an average of more than 1 unit sold every other month is quite impressive when short term rentable Kihei condos for sale are king. 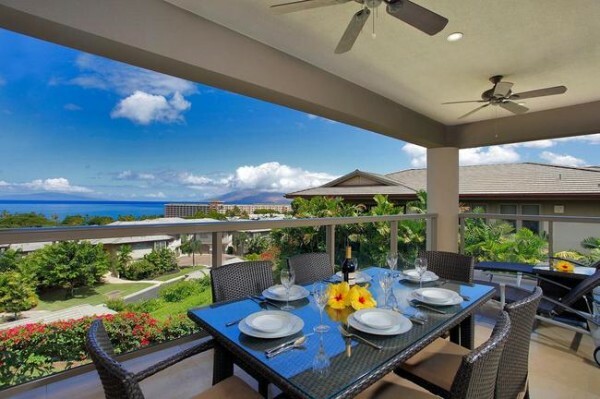 While all of the Maui Gardens condos sold in 2018 were able to secure a new buyer within 6 months, 66% of those units were listed, put in escrow, and sold within 2 months of coming to market. Part of the reason these units have been able to move so quickly is because of their desirable proximity to the beach, the complex is less than a 5 minute walk or about 1000 feet. The most attractive feature that draws buyers to Maui Gardens is the desirable price point in relation to its beach access. For buyers looking to find a property under $350k and close proximity to the beach, then Maui Gardens ticks all of those boxes. However, the Maui Gardens units can be priced so low because they cannot be rented out on a short term basis. 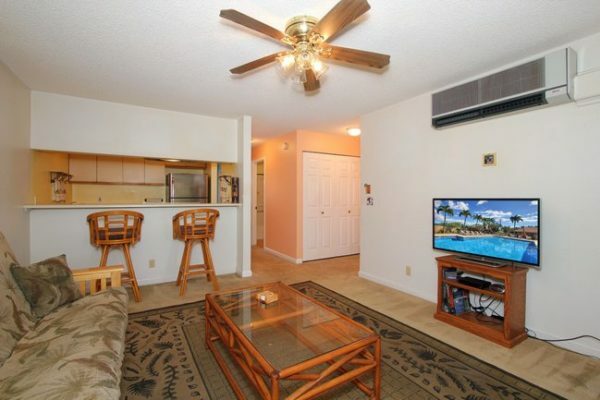 The inability to generate short term rental cashflow is tradeoff buyers will have to sacrifice in order to get a beachy Kihei condo under $400k. So far 66% of the units sold were for around the upper $200k price point, while the other 33% were in the low $300k price range. Buyers should expect to pay around $350-$550/sqft for a unit. With no listings for sale at this time, the best way to stay up to date is with our Maui Gardens new listing email alert.